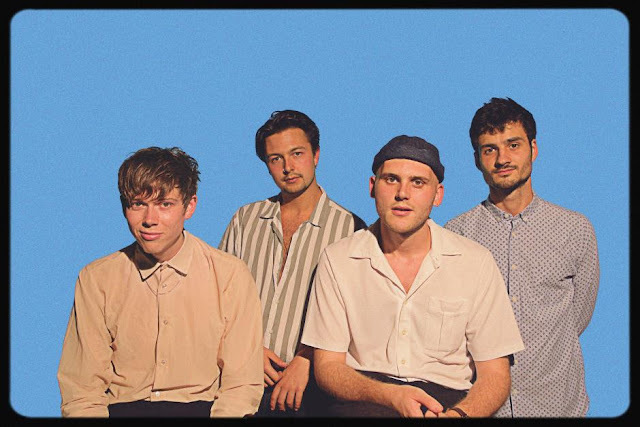 Making it a fine hat-trick of releases from their recently announced forthcoming 'Four More From…' EP, London pop outfit Honey Moon return with their dazzling new single Mover In The Dark. Lifted straight from the 60's in stylistics, with its swanky guitars and crooning vocals, the band channel another pristine disco-balled sound effortlessly showcasing their ballad-conjuring craftsmanship. "Its vulnerability isn't laid quite as bare and its message not quite as obvious as in some of our other stuff". Explains singer Jack Slater Chandler "Kinda creepy, kind of 'dark' - for us cheesy boys, anyway". Take a listen for yourselves below. The new EP will be released through Heist or Hit on September 21st.